I really enjoy this consultancy with couples and wedding co ordinators as we work creatively to ensure a memorable day for the couple I have been entrusted with the services of some of South Africa’s first citizens and have extensive knowledge of the other service providers in the industry. The Western Cape has a variety of superb venues for couples to choose from. Experienced at working in interfaith situations I have sensitivity to conduct cross cultural, cross racial, and cross religious ceremonies .The ceremony needs to have an integrity and clarity that makes a strong and authentic beginning to the nuptial celebrations. Couples who want a non religious service also approach me. However, here in my pre-marriage work whether agnostic,atheist or believer I believe it is important address their understanding of the spirituality they draw from and to assist in transcending their sometimes self referenced and personal views. In this way they can discover the pathways for the vital necessity of a spiritual perspective that energizes their marital unity and grounds their relationship in the clash of inevitable differences in personality,temperament and belief. Peter Fox from David Stone on Vimeo. 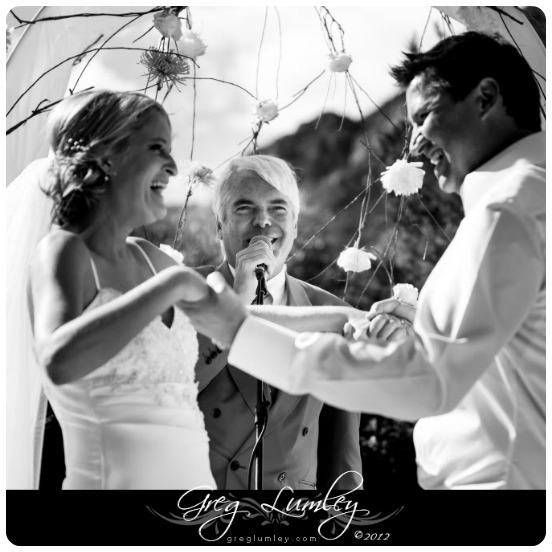 Peter Fox is very special to the Vineyard Hotel and Spa as he has officiated many of our large beautiful Weddings and also our Just Us Weddings. (Just the couple who have flown in from all parts of the world for an African experience). There he often only meets the couple on the day and by the end of the beautiful personal ceremony – I am crying as it is so emotional! He touches peoples hearts with his memorable, kind words!